Support us on Pateron! Please- help us at least break even on the infrastructure costs. ToastyTech overview – A nice quick-peek at what you’re missing by not playing along. MacGUI repository – An alternate place to get GEOS things (search term: GEOS). 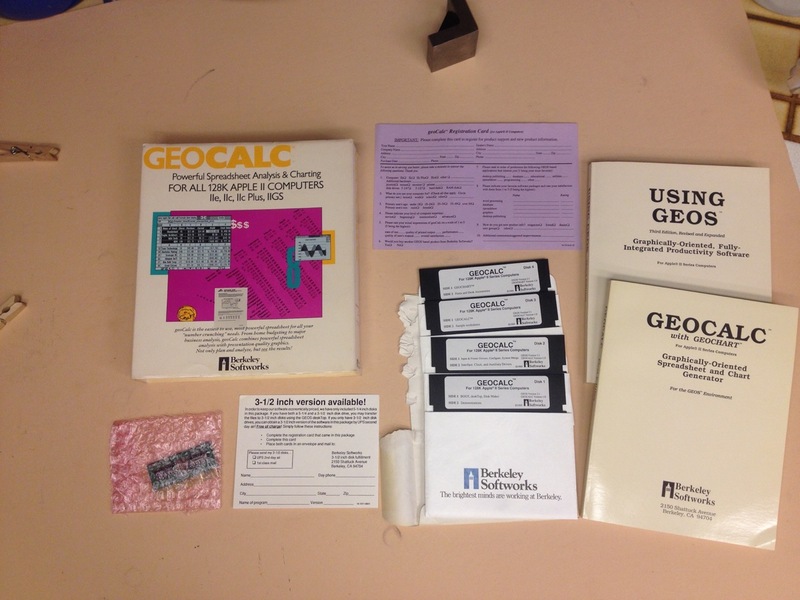 Two Photos of GeoCalc – The unicorn! It exists! 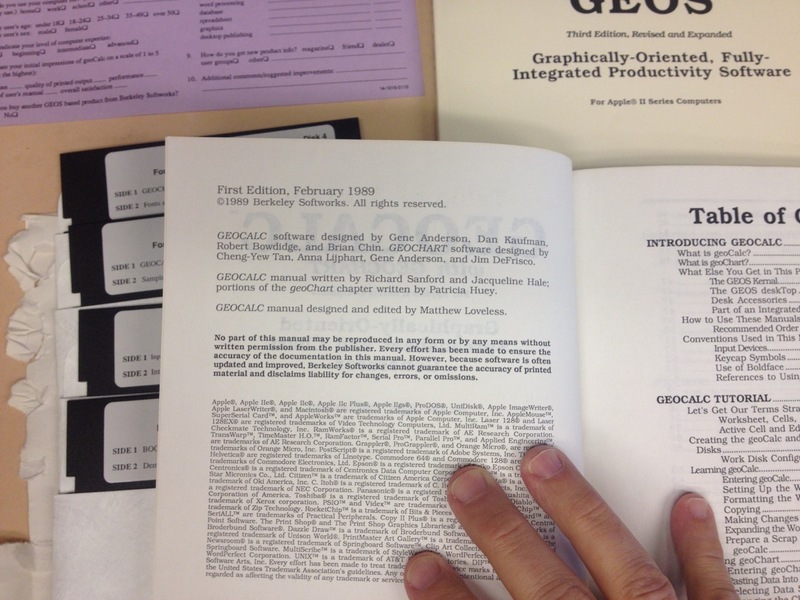 GeoCalc manual – Photo of the credits and such. 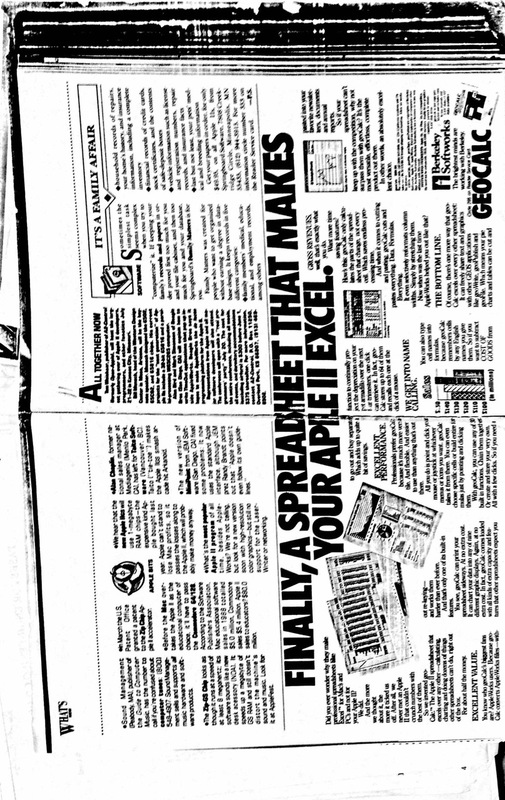 A classic GEOS ad – Effective? You be the judge. 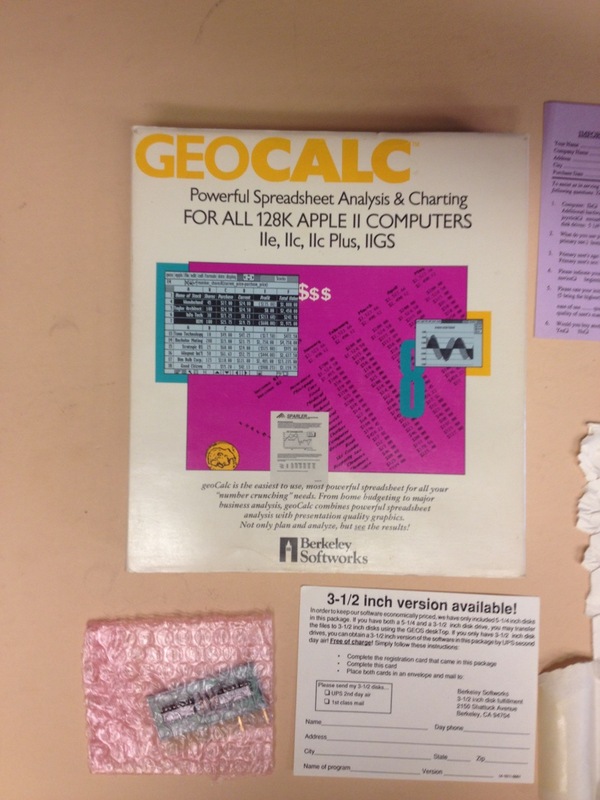 An ad for GeoCalc – The pun! It burns! Hitchhiker’s Guide to GEOS – The SDK programming manual for GEOS. GEOS File conversion effort – Maybe you can get your data out after all. Quinn’s ultimate GEOS disk image – For IIc Plus users only. Virtual II is cheating! Discovered lost Apple II logo? – Probably not. 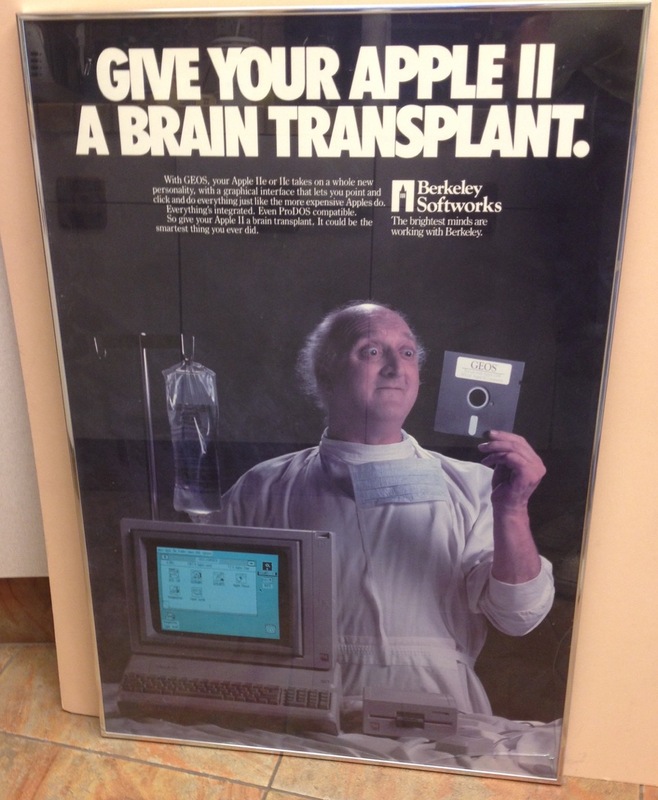 Summary of Apple II graphics – A nice beginner’s intro in video form. Post Mortem of Crisis Mountain – From David Schroeder himself. Dino Eggs – Also Dino Eggs. ClassicIDE available – Buy one now while you can! VNCViewGS – VNC on your IIgs! With source code! Pong chip designed by Apple II superfan – Atari podcasts talk about us yet again. Apple II music in a chiptunes contest – Krue is killing it, Apple II-style. Repairing a IIe keyboard – Courtesy of RetroConnector. Uthernet II now shipping – Buy one while you can! Plasmagoria Demo – Newest demo from French Touch. IIc VGA Review – Javier gets up close and personal with Plamen’s upcoming device. Mockingboard Clone – UltimateMicro is at it again. Or was. Sorry, you missed it. KansasFest Garage Giveaway GoFundMe – Help fund one of the best parts of KFest. David Cohen and his Apple II – A Simpsons/Futurama connection to our 8-bit. System 6.0.3 installer bug – With a workaround by John Brooks. Woz speaking in Kansas – (not -Fest, just Kansas). Get your tickets now! Woz remembers the HCC – The club that started it all, from the most famous member. Fix your IIc Plus Beep – Yes, it is possible to make your IIc Plus sound correct. Thanks for that great episode! You got to have a word with Quinn about her continuous bashing of other 8-bit brands, it’s not funny any more. I liked the 8-bit flame wars back in the 80s just like any other nerd, but today it’s just annoying. I listen to a number of retro computing podcasts and all indulge in this guilty pleasure a bit, but Quinn and Kevin from ANTIC are the two responsible for the most of it. When it’s based on fact I don’t mind, but what Quinn is doing is just plain annoying. Take this episode for example. Quinn defends Apple 2 whenever comparisons with other micros aren’t favorable (e.g. Apple 2 bizarre graphic system is 5 years older than C64 so that’s fine; Apple 2 demos are still amazing [despite what Kevin’s says] because hardware is so primitive compared to just about anything else) but then goes on to bash C64’s version of GEOS when compared against GEOS on Apple IIe with 128K or Apple IIc+ citing her experience with her friend’s C64 and extrapolating from there. 1. She concludes that C64 GEOS is clunky because it had to be used with a joystick. Just like GEOS did not necessarily come with a mouse on Apple but supported one, the same was the case with C64. Commodore even made their own mouse for C64 that worked with GEOS (1351). 2. She finds Apple version of GEOS superior to C64 version but it sounds like she is comparing Apple release which came later with an early CBM version (V1.X) instead of with later CBM release (V2.0). Also, she is comparing GEOS on Apple IIe with 128K and improved resolution (because it wouldn’t run on 64K Apple 2 at all) to C64 version, instead of with equally improved later version of C64 — C128. She seems to be completely oblivious to existence of C128 even though it alone sold in equal numbers as all models of Apple 2 combined (starting with the oldest and including GS) — both C128 and the entirety of Apple 2 line sold between 5 and 6 million units. Quinn, if you can’t find 10 minutes to spend with Google before your recording session (or at least check out two or three pages on Wikipedia) then please refrain from making derogatory remarks about other systems (be it Commodore, Atari or whatever) because they are neither entertaining nor educational. Thanks for your feedback. Podcasting is a tricky business- anything you do will make some people happy and some people really angry. I’m sorry you’ve fallen in to the latter camp. We do our best to be fun and informative. Rest assured, our entire Research Department has been taken out back and shot. When you have that word with Quinn, please let her know that I, for one, love her rants on the show. However, I am confused by the post above, as it indicates she may have developed the ability to read her own email. Let’s all hope I’m mistaken, and that Mike logged in and wrote that reply for her!